The driver who killed at least 84 people in Nice had recently been radicalized, according to French Prime Minister Manuel Valls, who says the attack was of an “Islamist nature.” Meanwhile, two more people have been arrested in connection with the tragedy. “The investigation will establish the facts, but we know now that the killer was radicalized very quickly,” Valls said in remarks published on Sunday, Reuters reports. “The claim on Saturday morning by Islamic State [IS, formerly ISIS/ISIL] and the fast radicalization of the killer confirm the Islamist nature of this attack,” the Prime Minister stated. 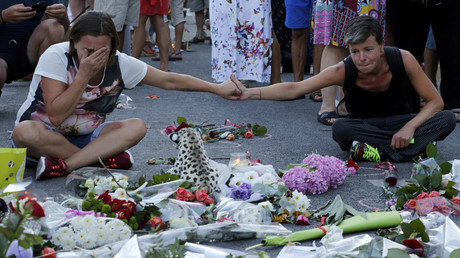 A man and woman were arrested in Nice on Sunday for possible involvement, putting the total number of people detained in connection with the truck attack at seven, news agencies report, citing judiciary sources. Five of those previously detained remain in custody. Those who knew Bouhlel reportedly told police they saw him rapidly transform from a person uninterested in religion into someone quite obsessed with it. His family confessed that Bouhlel had been seeing psychologists for several years, but maintains that he could not have been an Islamic terrorist. “[IS] gives unstable individuals an ideological kit that allows them to make sense of their acts...This is probably what happened in Nice’s case,” Prime Minister Valls said, elaborating on Bouhlel’s motives. The official also warned that more attacks were possible and this risk will not be easy to eliminate. “I’ve always said the truth regarding terrorism: there is an ongoing war, there will be more attacks. It’s hard to say [this], but other lives will be lost,” Valls said. 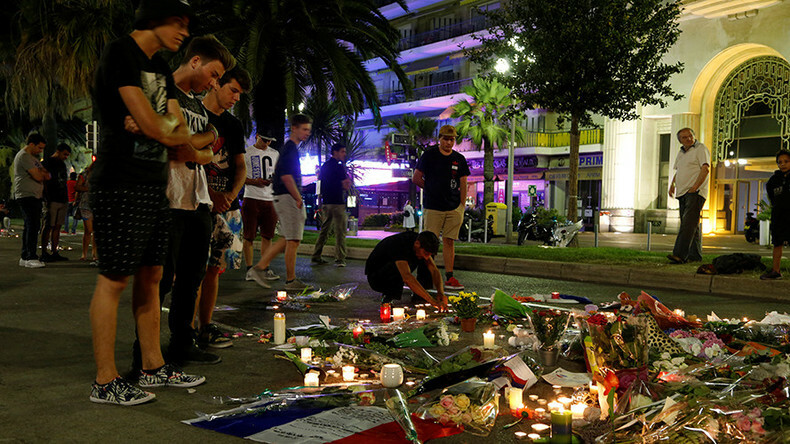 Thursday’s truck tragedy in Nice is the third major terror act to target France in less than two years. Eighty-four people were killed and up to 200 wounded, including 10 children and teenagers, when a truck plowed through a crowd celebrating Bastille Day. 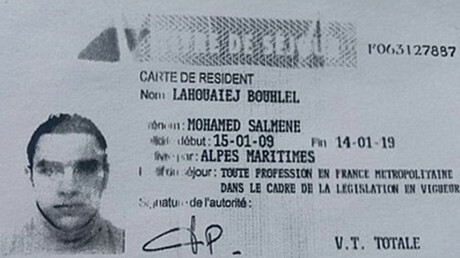 Bouhlel drove along a road for two kilometers while mowing down pedestrians before being shot dead by police. Investigators revealed on Sunday that Bouhlel had been driving around the city in the truck on July 12 and 13 looking for the most effective place to carry out his attack. The state of emergency imposed across the country after last November’s Paris terror attacks was extended by three months after the tragedy. On Saturday, Bernard Cazenueve asked “patriotic citizens” to become police reservists to help out security forces. The French opposition has been less than thrilled by the appeal or the security situation in general, however, with many blaming the Interior Minister for the recent atrocities and calling on him to resign. “Anywhere else in the world a minister with such a terrible record – 250 deaths in 18 months – would have resigned a long time ago,” France’s National Front leader Marine Le Pen said.